Contemporary designers, Benchmark, craft the latest in men’s and women’s wedding bands. 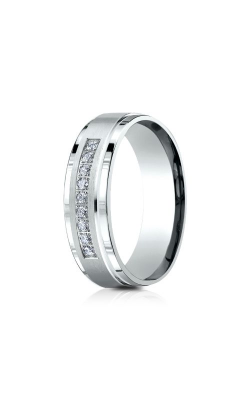 Handsome as they are innovative, Benchmark wedding bands showcase fashion-forward designs using pristine precious metals and top-quality stones. Available in 14-karat and 18-karat rose gold, white gold, and yellow gold, Benchmark has attained critical acclaim for their exquisite classic and modern designs. 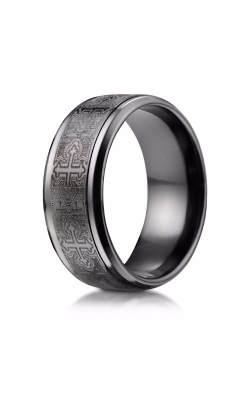 Further, Benchmark exceeds designer expectations via there Forge line whose wedding bands are available in captivating titanium and cobalt designs. Both men and women can shop from the various styles and diamond embellished looks available at Medawar Jewelers. As a proud authorized retailer of Benchmark and their exceptional wedding bands, Medawar Jewelers is pleased to help Michigan area customers find their bridal jewelry match by carrying a large and brilliant selection of wedding bands from internally renowned, Benchmark. For women, Benchmark carries wedding bands in their European Comfort-Fitcollection from the Classicsand in their lovely Diamondcollection. Benchmark's collections of women's wedding bands include thin, sleek unadorned bands and diamond embellished pave bands sure to enchant all brides. Available today, Medawar Jewelers is proud to supply the area with the Diamond, Classic, and Design collections of Benchmark wedding bands. Also available are the innovative designs from Benchmark’s Forge line. Collections from with the Forge include Titanium and Cobalt collection. Forge collections are popular due to their highly-stylized looks and intricate engravings and textures. With such a dapper collection of wedding bands, both men and women are likely to find exactly what they are looking for. With five wonderful locations throughout Michigan including West Lansing, Okemos, Jackson, Portage, and Brighton, Medawar Jewelers is ready to serve the community with fine selections of bridal and fashion jewelry. At Medawar Jewelers, customers can shop from among today’s best such asA. Jaffe, Bulova, CrownRing, Pandora, Parade, Seiko, Verragio, Tacori, and more! Additionally, Medawar Jewelers is pleased to offer guests with a variety of customer services including jewelry repair, custom jewelry design, convenient financing plans, and a knowledgeable staff always ready to serve the customer. For the latest in engagement rings, wedding bands, timepieces, and fashion jewelry, look to any one of Medawar Jewelers’ five fine locations.